Metro, Inc. is a giant food retailer based in Canada. Most of this company’s retail stores are operating in the provinces of Ontario and Quebec. In 1953, the company’s name was changed to “Épiceries Lasalle Groceteria.” At that time, there were 43 stores affiliated with the company. After three years, there were 50 stores affiliated with the company. The company gained significant popularity in 1956 when an advertisement posted in the La Presse attracted the attention of a large number of consumers. This was an advertisement by the company promoting its turkey product for only 39 cents. This popularity became an inspiration for the company to create a division that it named Metro. After this, more groceries stores were attracted to join the company so that by 1957, there were 73 stores affiliated with it. Because of the stiff competition offered by Provigo and the economic challenge of the recession, the company went through challenging times, which led it to merger with Epiciers Unis, Incorporated. When this merger was completed, the company’s name became Metro-Richelieu, Incorporated. When it was able to bounce back financially, the company decided to enter the MSE, or Montreal Stock Exchange in 1986. In the 1990s, Metro was able to acquire 48 Steinberg supermarkets. The stores were then changed to Super C stores, as well as Metro stores. In 1999, the company was able to acquire Loblaw’s Loeb stores. Some of these stores were then converted to Super C stores and the remaining were retained as Loeb stores. In 2009 however, all Loeb stores became Metro supermarkets. 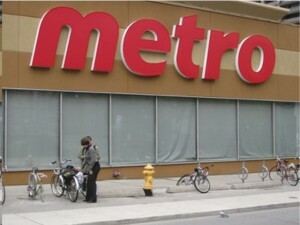 Currently, Metro is considered the third biggest retailer in Canada, next to Loblaw Companies and Sobeys. There are at least 365 retail stores operated by Metro, Inc., some under the Metro banner, while the rest operate under different banners that are owned by the company. The company’s divisions are Food Basics, Marché Richelieu, Les 5 Saisons, Marché Ami and Super C. Metro’s subsidiary is Brunet. You up and closed your store in Leamington Ontario leaving many disappointed customers behind. You must now cease sending me your coupons which I will never use. A most dissatisfied and disappointed former customer.